As the Bring Your Own Device movement continues to gain momentum, allowing students to use their own devices (mobile phones, laptops, tablets) in school, administrators and educators are figuring out how to iron out concerns and issues that crop up. One of the biggest issues educators continually bring up is equity. "Especially at the middle school level, not having a device and needing to find a classmate to share with results in further issues (selfishness, resentment, etc. )," writes Kevin, a commenter to a recent post about Katy School District's BYOD program. "If so, how are these issues dealt with and turned into instructional situations?" But proponents of BYOD contend that students who have devices should not be prohibited from using them as a solution to the equity issue. Education blogger Lisa Nielsen gives the following example of a school district in Forsyth County, Georgia. "The BYOD environment is fluid and policies should be as well." "Tim Clark, district instructional technology specialist with Forsyth County Schools (GA), explains that in his experience with BYOD, 'Students who do not have personal technology devices have greater access to school-owned technology tools when students who bring their own devices to school are no longer competing for that access,'" Nielsen writes. Another set of concerns, according to a CoSN report, are around potential safety and security risks. One prevailing question, for example: Who's responsible for theft or damage to students' devices? Different districts deal with the issue in different ways. While some educators say kids take care of their own devices better than those issued to them by schools, Fairfax County School district asks parents to sign a liability waiver along with their BYOD permission slips. 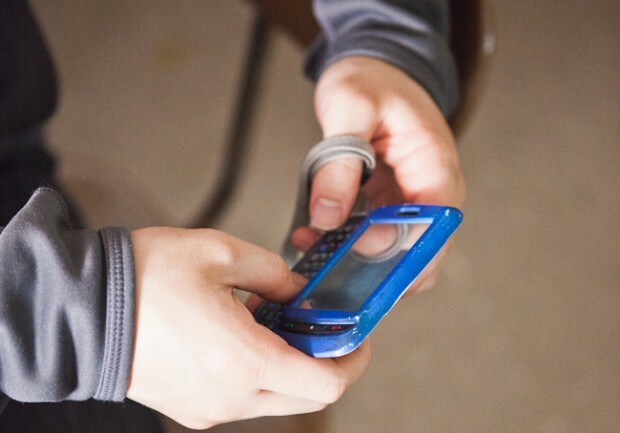 Students' use of their devices to send harassing or otherwise inappropriate messages is another concern. Most school districts already have bullying and behavioral policies in place, but those may need to be further clarified in regards to students' devices. While some schools prohibit use of devices in areas that are difficult to monitor, CoSN's report cites experts who suggest a more flexible policy. "CoSN Chair Bailey Mitchell, chief technology officer of Forsyth County (GA) Schools—a BYOD leader—advises against BYOD policies that are too rigid or restrictive. The BYOD environment is fluid, he says, and policies should be as well. Some districts give flexibility to schools to craft policies that make sense for their student populations," the report states. That's exactly what's happening at Sacred Heart Cathedral Prep in San Francisco, where administrators see cell phones as tools used to say or do what might happen in the hallways and dining halls regardless of the device itself. The policy there is evolving, says Principal Gary Cannon. “The challenge is giving [kids] a sense of a digital footprint,” Cannon says. Other districts handle it in different ways. According to the report, last year, computers and tablets were allowed at the Fairfax County district, but not cell phones. This year, the district is allowing smartphones to be used, but each school must decide where and how they can be used. The possibility of passing along viruses or malware from student devices to school computers while the devices are being charged. Compliance to filtering policies in schools that ban certain websites on broadband, but that can be accessed through students' wireless service. Unintentional access to private content, both on the part of teachers and students. The CoSN report lists a host of ideas -- everything from wireless authentication to how to deal with virtual and remote desktops -- as solutions to addressing some of these concerns.